What, exactly, is a power of attorney? It’s an aspect of estate planning that many in Nevada may not have considered. If unforeseen circumstances leave an individual’s family or loved ones in a position where they need to make important decisions that could have major consequences for all involved, a power of attorney could solve the problem. A power of attorney is a document appointing an individual to make medical or financial decisions on another’s behalf when circumstances such as illness or incapacity prevent that person from doing so. Signing such a document can feel intimidating, but it actually designates an individual that the maker of the document implicitly to act on the maker’s behalf in specified circumstances. The document can explicitly detail exactly how much power is granted. The chosen agent is usually obligated to keep a record of all decisions and/or transactions. 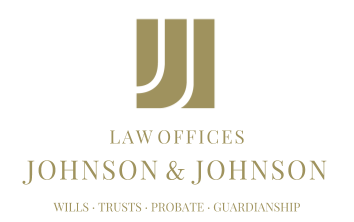 Clearly, it is important to make sure the person given power of attorney is someone the individual trusts. Common choices are a spouse, best friend or relative. Powers of attorney and the situations they have control over can vary greatly, and could include making financial, health or medical decisions or operating business interests. They come into play when the maker is unable to manage personal or business affairs due to incapacity or other specified circumstances. A health care power of attorney can give a family member the ability to make a decision about life support, when necessary, that aligns with the individual’s wishes. There are different types of power of attorney – general versus special, financial versus medical – but the first step is to seek the counsel of an attorney. While forms can be found online, it’s generally advised against, as any mistakes can be catastrophic. If any residents of Nevada have not considered power of attorney in their estate planning, they may benefit from contacting a lawyer to discuss their options.